To ask Tami Veldura questions, please sign up. Tami Veldura Getting paid for making things up. I'm not saying it's easy, it's probably one of the most difficult things I've ever done, but in the end I'm…moreGetting paid for making things up. I'm not saying it's easy, it's probably one of the most difficult things I've ever done, but in the end I'm daydreaming, getting it down on paper, and someone is paying me for the privilege of reading it. Any tentative date on when the second book in the Act of Piracy series will come out? Tami Veldura Yes! I'm finalizing Ruin and Will as we speak and expect to hand it over to my team by August. We're going to do a big blog tour push for this one, so…moreYes! I'm finalizing Ruin and Will as we speak and expect to hand it over to my team by August. We're going to do a big blog tour push for this one, so you won't miss it. Publishing date isn't firm yet, but probably the last week-ish of August is when you'll see it. We’d love your help. Let us know what’s wrong with this preview of Fiction Unboxed by Johnny B. Truant. We’d love your help. Let us know what’s wrong with this preview of Zero Day Exploit by Tami Veldura. We’d love your help. Let us know what’s wrong with this preview of The Sight by David Clement-Davies. 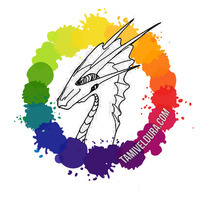 A group for authors and fans of LoveLight Press, a small independent e-publisher of LGBTQ+ Romance. Thank you, Emma! 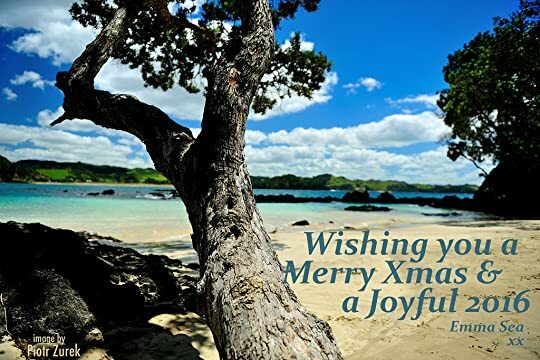 Merry Christmas and Happy New Year to you as well! Emma Sea wrote: "wow, congratulations on making Smutsonian's Top 3 paranormal books of 2014! That's awesome!" Thank you, thank you! En Memoriam hit the top paranormal books list and Blood In The Water hit the top first in a series list. I'm completely thrilled. This has been an excellent year for my writing! wow, congratulations on making Smutsonian's Top 3 paranormal books of 2014! That's awesome! Nancy wrote: "Hi Tami! Thank you for the friend request and the opportunity to read Stealing Serenity. I see you wrote a story about pirates that I'm looking forward to reading soon. :)"
You're quite welcome, Nancy. Thank you for reading all my work! SheReadsALot wrote: "Hi! Thanks for the friend request. I have been very excited to read your story for quite some time. ;)"
I loved your waiting-for-it review. I really hope you enjoy it. Thank you for the friendvite! Vivian wrote: "Thanks for the friendvite and the great story. Looking forward to the second installment of An Act of Piracy." I'm thrilled you enjoyed it! Thanks for the friendvite and the great story. Looking forward to the second installment of An Act of Piracy. Shayla wrote: "Thank you for the add! Happy New Year :)"
Fangtasia wrote: "Thanks for the connection!"